Measuring Distance: Should I Use Light or Sound? Clear or transparent sensing targets can be a challenge but not an insurmountable one. 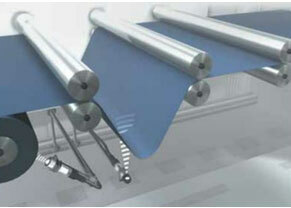 Applications can detect or measure the amount of clear or transparent film on a roll or the level of a clear or transparent media, either liquid or solid. The question for these applications becomes, do I use light or sound as a solution? 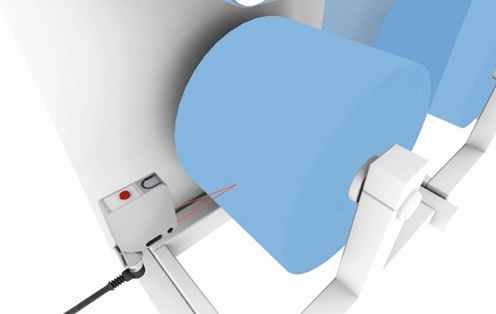 An application that measures the diameter of a roll of clear labels. In an application that requires the measurement of the diameter of a roll of clear labels, there are a number of factors that need to be considered. Are the labels and the backing clear? Will the label transparency and the background transparency change? Will the labels have printing on them? All of these possibilities will affect which sensor should be used. Users should also ask how accurate or how much resolution is required. Faced with this application, using ultrasonic sensors may be a better choice because of their ability to see targets regardless of color, possible printing on the label, transparency and surface texture or sheen. Some or all of these variables could affect the performance of a photoelectric sensor. Ultrasonic sensors emit a burst of short high frequency sound waves that propagate in a cone shape towards the target. When the sound waves strike the target, they are bounced back to the sensor. The sensor then calculates the distance based on the time span from when the sound was emitted until the sound was received. In some instances, and depending on the resolution required, a time of flight sensor may solve the above application. Time of Flight (TOF) sensors emit a pulsed light toward the target object. The light is then reflected back to the receiver. The elapsed time it takes for the light to return to the receiver is measured, thus determining the distance to the target. In this case, the surface finish and transparency may not be an issue. Imagine trying to detect a clear piece of plastic going over a roll. The photoelectric sensor could detect it either in a diffuse mode or with a retroreflective sensor designed for clear glass detection. But what if the plastic characteristics can change frequently or if the surface flutters. Again, the ultrasonic sensor may be a better choice and also may not require set up any time the material changes. So what’s the best solution? In the end, test the application with the worst case scenario. A wide variety of sensors are available to solve these difficult applications, including photoelectric or ultrasonic. Both sensors have continuous analog and discrete outs. For more information visit www.balluff.com. Sensors can detect various materials such as metals, non-metals, solids and liquids, all completely without contact. You can use magnetic fields, light and sound to do this. The type of material you are trying to detect will determine the type of sensor technology that you will use. The different types of sensors used will depend on the type of application. For example, you will use different sensors for metal detection, non-metal detection, magnet detection, and level detection. If a workpiece or similar metallic objects should be detected, then an inductive sensor is the best solution. 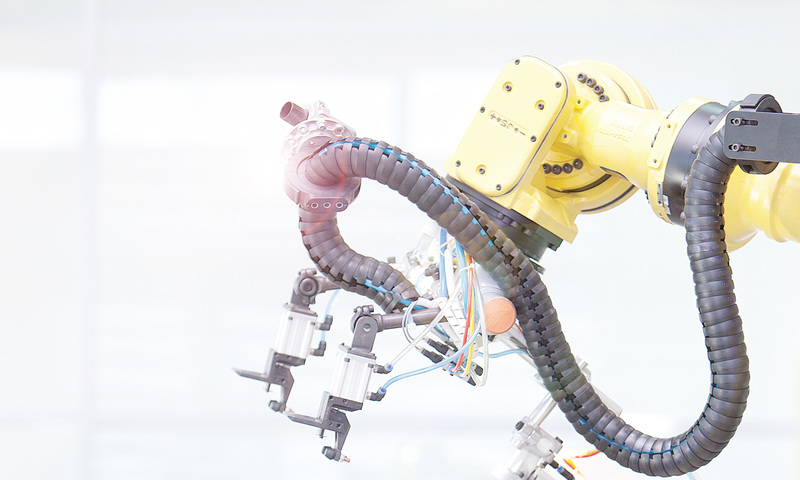 Inductive sensors easily detect workpiece carriers at close range. If a workpiece is missing it will be reliably detected. 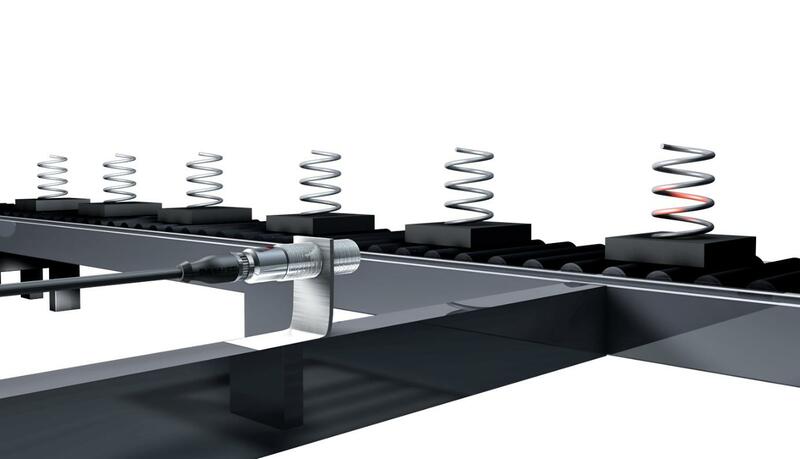 Photoelectric sensors detect small objects, for example, steel springs as they are brought in for processing. Thus ensures a correct installation and assists in process continuity. These sensors also stand out with their long ranges. If you are trying to detect non-metal objects, for example, the height of paper stacks, then capacitive sensors are the right choice. They will ensure that the printing process runs smoothly and they prevent transport backups. 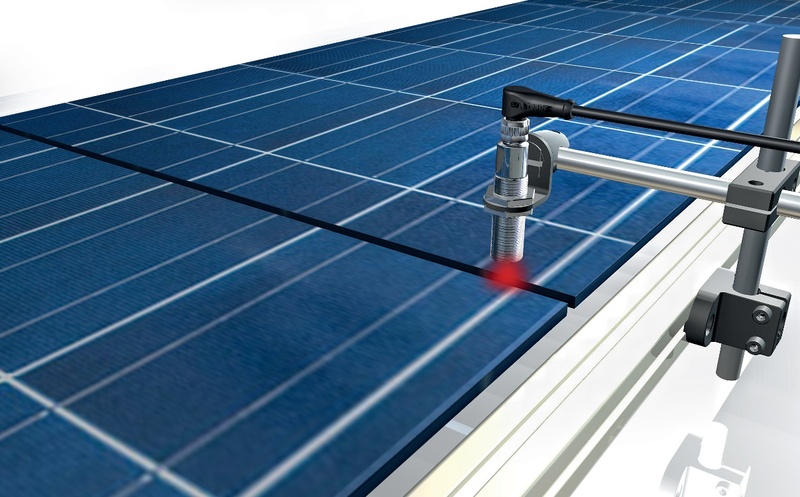 If you are checking the presence of photovoltaic cells or similar objects as they are brought in for processing, then photoelectic sensors would be the correct choice for the application. To make sure that blister packs are exactly positioned in boxes or that improperly packaged matches are sorted out, a magnetic field sensor is needed which is integrated into the slot. It detects the opening condition of a gripper, or the position of a pneumatic ejector. 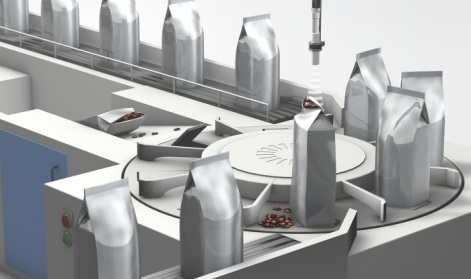 What if you need to detect the level of granulate in containers? Then the solution is to use capacitive sensors. 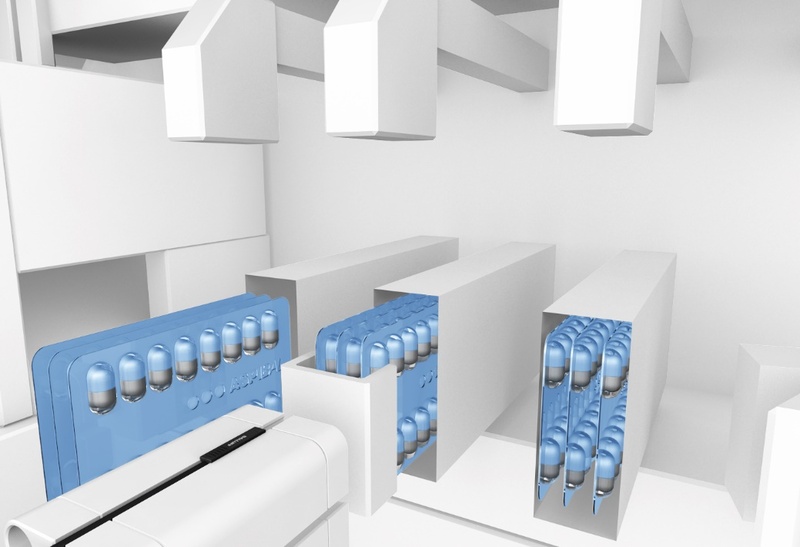 To accomplish this, two sensors are attached in the containers, offset from each other. A signal is generated when the minimum or maximum level is exceeded. This prevents over-filling or the level falling below a set amount. However, if you would like to detect the precise fill height of a tank without contact, then the solution would be to use an ultrasonic sensor. 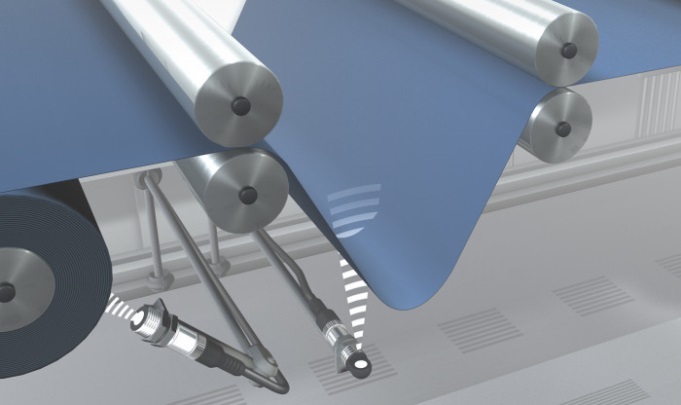 When reviewing or approaching an application, we all know that the correct sensor technology plays a key role in reliable detection of production parts or even machine positioning. In many cases, application engineers choose photoelectric sensors as their go-to solution, as they seem more common and familiar. Photoelectric sensors are solid performers in a variety of applications, but they can run into limitations under certain conditions. In these circumstances, considering an ultrasonic sensor could provide a solid solution. An ultrasonic sensor operates by emitting ultra-high-frequency sound waves. The sensor monitors the distance to the target by measuring the elapsed time between the emitted and returned sound waves. 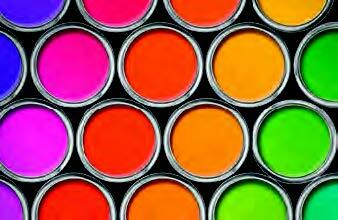 Ultrasonic sensors are not affected by color, like photoelectric sensors sometimes are. Therefore, if the target is black in color or transparent, the ultrasonic sensor can still provide a reliable detection output where the photoelectric sensor may not. I was recently approached with an application where a customer needed to detect a few features on a metal angle iron. The customer was using a laser photoelectric sensor with analog feedback measurement, however the results were not consistent or repeatable as the laser would simply pick up every imperfection that was present on the angle iron. This is where the ultrasonic sensors came in, providing a larger detection range that was unaffected by surface characteristics of the irregular target. This provided a much more stable output signal, allowing the customer to reliably detect and error-proof the angle iron application. With the customer switching to ultrasonic sensors in this particular application, they now have better quality control and reduced downtime. So when approaching any application, keep in mind that there is a variety of sensor technologies available, and some will provide better results than others in a given situation. Ultrasonic sensors are indeed an excellent choice when applied correctly. They can measure fill level, stack height, web sag, or simply monitor the presence of a target or object. They can also perform reliably in foggy or dusty areas where optical-based technologies sometimes fall short. For more information on ultrasonic and photoelectric sensors visit www.balluff.com. Integrating sensors in washdown applications can be confusing when considering the various approvals. So what do they all mean? If a sensor is an IP69K rated sensor does that mean it will survive everything? In the world of sensors there is IP54, IP67, IP68 and IP69 so if my sensor is IP69K that means it is the best right? The short answer is no. Let’s take a brief look at the differences. IP ratings will generally have two digits with the first digit referring to the solid particle protection. The second digit indicates the level of protection against the ingress of water. Sensors rated for IP54 indicates they are dust protected, meaning that dust can get inside the sensor, however, it cannot be enough to interfere with the operation of the equipment – this is designated by the 5. The 4 indicates that the sensor withstands splashing water on the housing from any direction with no detrimental effect. The test for the splashing of water lasts at least five minutes with a water volume of 2.64 gallons per minute with a pressure of 7.25 to 21.76 PSI. 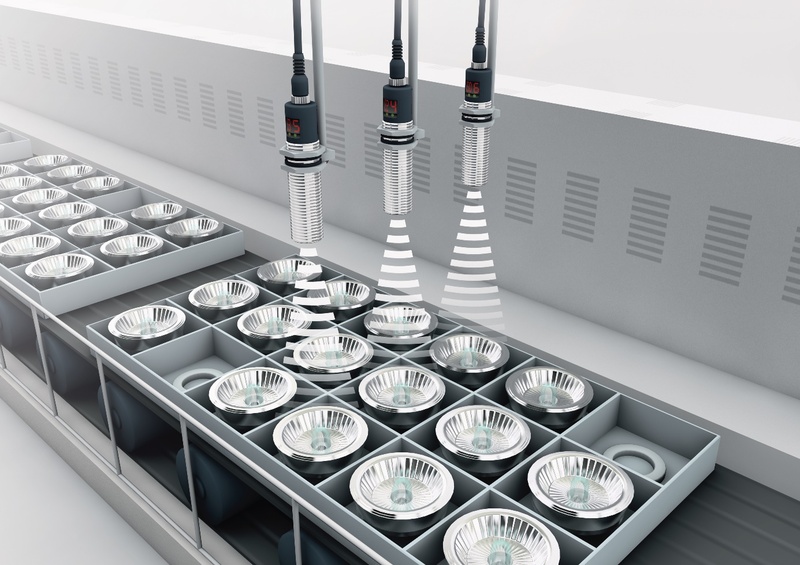 IP67 rated sensors are the most commonly used sensors on the market. Even most electrical enclosures used in automation are IP67 rated. The 6 indicates these devices will not allow the entry of dust. The 7 indicates that the sensor can be immersed in water to a depth of 1 meter for 30 minutes. IP68 rated sensors are dust tight sensors that can be immersed in water continuously under conditions specified by the manufacturer. Typically the depth of the immersion is 3 meters. The IP69K rating is based on a dust tight sensor that can withstand high pressure sprays. The devices are sprayed with a pressure of 1,160 to 1,450 PSI. The water temperature can be as high as 176°F with a flow rate of 3.7 to 4.2 gallons per minute. The distance from the nozzle to the device is 4 to 6 inches. The sensor is placed on a rotary table that rotates at 5 revolutions per minute and the sensor is sprayed for 30 seconds at four angles 0°, 30°, 60°, and 90°. The ultimate sensor would have a rating of IP67/IP68/IP69 indicating that it will survive submersion and high pressure washdown. 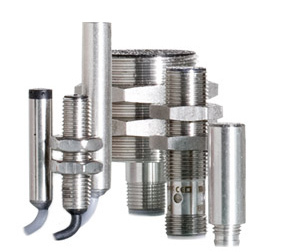 Also, some of these sensors are 316L stainless meaning they have low carbon content and are more corrosion resistant than other stainless steel grades. Are all IP69K sensors stainless steel? No, some sensors utilize polycarbonate-ABS thermoplastic. Usually during washdown applications in the food and beverage industry the spray is not just water but some sort of cleaning chemical or disinfectant. These aggressive cleaning and disinfecting agents can attack different housing materials. This is addressed by the ECOLAB certification. The ECOLAB test consists of testing the housing and sensor materials to exposure to these aggressive cleaning and disinfecting agents. The devices are tested for 14 to 28 days at a room temperature of 68° F. During this time the sensor is visually inspected for swelling, embrittlement, or changes in color. Don’t forget that even though the sensor has the correct IP rating for your application that the mating connector has to meet the same specifications. For example, if the sensor is IP69K rated and a IP67 mating cable is used then the lower IP rating has precedence. If you are interested in what sensors and cables meet washdown requirements, please visit www.balluff.us. What’s best for integrating Poka-yoke or Mistake Proofing sensors? and attempting to select the best sensing technology to solve the application. Many of our customers are finding that the best controls architecture for their continuous improvement processes involves the use of IO-Link integrated with their existing architectures. It can be very quickly integrated into the existing controls and has a wide variety of technologies available. Both of these factors make it the best for integrating Poka-yoke or Mistake Proofing due to the great flexibility and easy integration. Download this whitepaper and read about how a continuous improvement technician installed and integrated an error-proofing sensor in 20 minutes! In my previous posts (Ultrasonic Sensors with Analog Output, Error-proofing in Window Mode, and The Other Retro-Reflective Sensors) we covered the Ultrasonic sensor modes and how they benefit in many different types of applications. It is also important to understand the reflection properties of various materials and how they interface with the sensor selected. 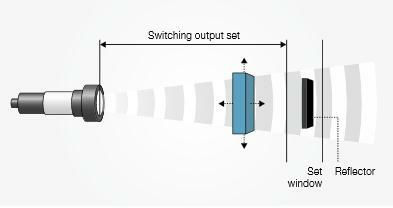 For example some Photoelectric sensors will have a very difficult time detecting clear materials such as glass or clear films as they will simply detect directly through the clear material detecting what is on the other side giving a false positive target reading. As we know, this is not an issue with an Ultrasonic sensor as they detect targets via a sound wave so clear objects do not affect the sensors function. When looking at sensor technologies it is import to understand the material target before selecting the correct sensor for the applied application such as an Inductive sensor would be selected if we are looking at a ferrous (metal) target at short range. Below are some examples of good and poor reflective materials when Ultrasonic sensors are used. So as you can see materials that are hard or solid have good reflective properties whereas soft materials will absorb the sound wave provided from the sensor making it much more challenging to detect our target. For more information on Ultrasonic sensors click here. Many times in an application we need more than a simple discrete on/off output. For a more accurate detection mode we can utilize analog outputs to monitor position, height, fill-levels and part presence typically found in object detection assemblies. When utilizing Ultrasonic sensors with an analog output we can simply measure the distance value that is proportional to the distance of our target within the operating range of the sensor. Typically 0…10V or 4…20mA outputs are available with the option of rising or falling characteristics. Rising and falling is a way to invert the view of the output, so 0…10V would simply be inverted to 10…0V or 4…20mA would be 20…4mA. Ultrasonic sensor offerings are a great alternative as they can deal with difficult targets that are typically a challenge for other sensor technologies. They also offer very good resolution with the options of long and short range detection. Below is an example of a 4…20mA linear output. As you can see the closer our target gets to the sensor face it indicates an output closer to 4mA and the further away from the sensor it will provide and output closer to 20mA. For more information on Ultrasonic sensors, click here. In my previous post, I talked about Ultrasonic Sensors utilizing reflected mode. Window mode is an extension of the reflective mode setting. When the sensor is set up in window mode the sensor is only activated when the object target is located within the detection limit setting defined within the detection range of the sensor. So, for example a sensor that has 65…350mm operating range could be set up to see a target within 100…150mm. This mode is commonly used when target sizes require wider tolerances or size such as detecting tall to short targets or simply detecting the correct size of the target. Additionally, if the sensor selected offers an Analog output you can receive output within the new defined window. Most of the time when we think of Retro-Reflective sensors the first thing that comes to mind is a photoelectric sensor. Photoelectric offerings use a reflector to reflect light from the internally mounted emitter and receiver. Retro photoelectric sensors come in many form factors with light source options such as infrared, red light and laser types. The example shows an Ultrasonic sensor set up in window mode. The sensor is sending a sound wave to the background (reflector) so a target can be detected when entering the detection area between the sensor and the reflector background. For more information Ultrasonic sensors, click here. 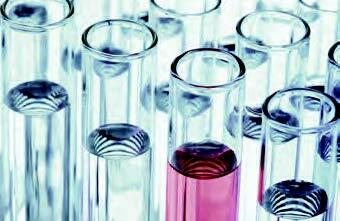 Liquid measurement can be a demanding application therefore selecting the most effective sensor technology is imperative. 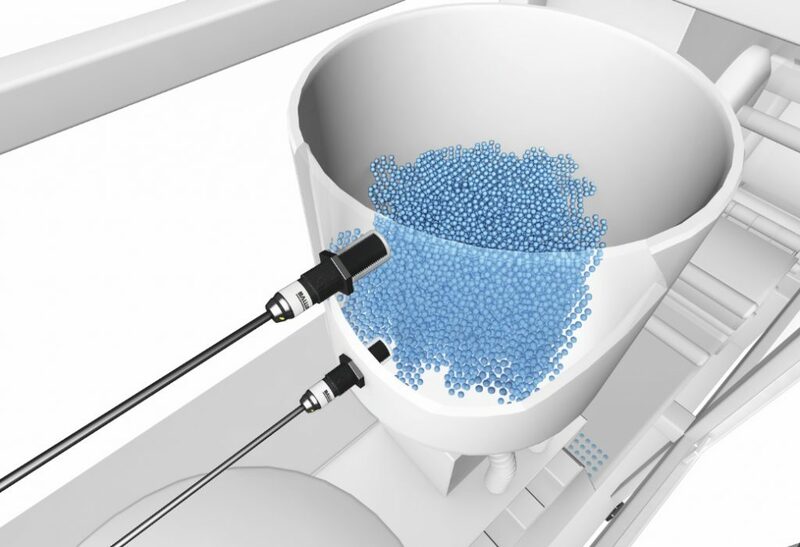 Ultrasonic sensors are the ideal solution for distance measurement or position detection of granules, fluids and powders. They measure fill levels, heights and sag without making contact as well as count and monitor the presence of objects. They are extremely versatile, operate independently of color and surface finish, and are not affected by transparent objects that generate strong reflections. And because they are not affected by dust, dirt and steam, they are the ideal choice for critical applications. and detect nearly any liquid. 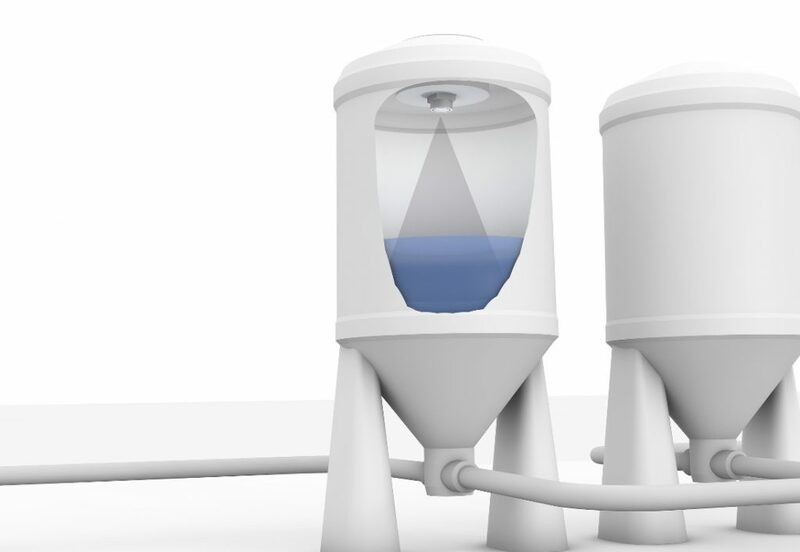 Additional advantages ultrasonic sensors provide when monitoring liquid is their ability to have two independent outputs programmed into one sensor. This is a great way to monitor upper and lower liquid levels with one sensor. This sensor feature allows one independent output setting to indicate a minimum level and the second output to indicate a maximum level concurrently providing constant feedback along with a voltage or current output.